A few days ago, Kalua, another key accused, was arrested with the axe he used to attack Inspector Subodh Kumar Singh. 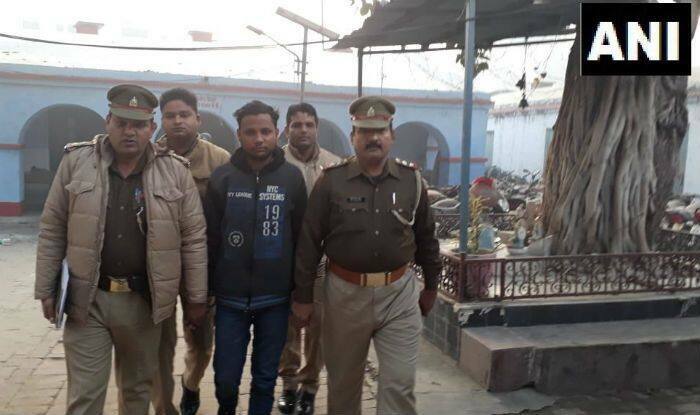 Raj’s arrest comes close on the heels of the arrest of Kalua, the man accused of attacking Inspector Subodh Kumar Singh with an axe during the December 3 violence over alleged cow slaughter. The arrest of Kalua from a bus stand on the night of New Year’s eve took the total number of accused held in this case to 30, a police officer said. Kalua told police that on December 3, he was felling a tree to block a road. When the inspector stopped him from doing so, he attacked him with an axe, the officer said. On December 27, police had arrested Prashant Nat, who allegedly shot the inspector dead after the axe attack. “Kalua had first attacked the policeman with a sharp weapon and chopped off his thumb,” Chaudhary said. Prashant Nat, the man who allegedly shot Singh dead during mob violence over alleged cow slaughter, is in judicial custody.